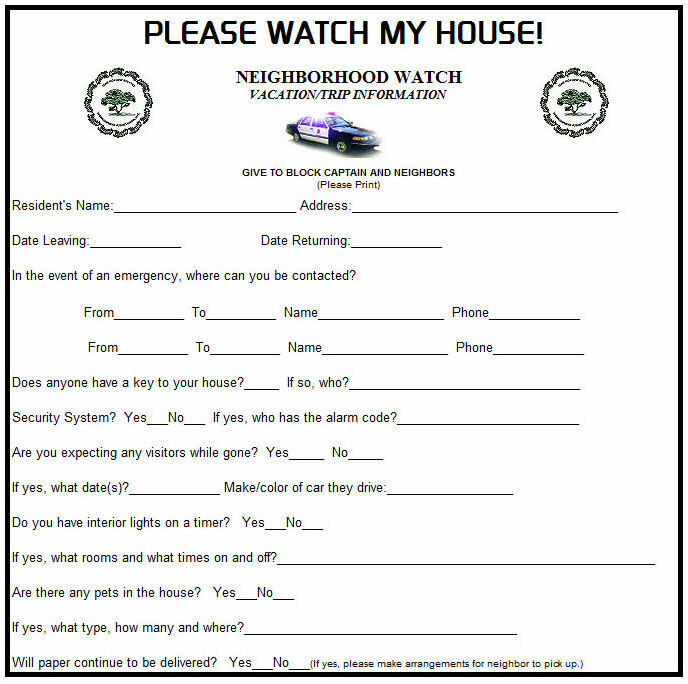 Click on form name for a printable copy. 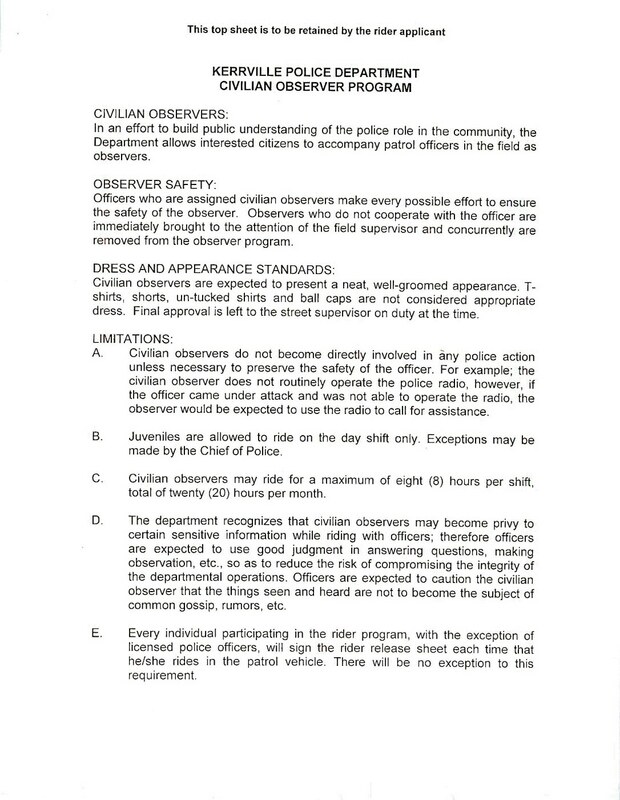 Citizen Police Academy Application (Print and complete form and drop by the KPD.) The Citizen Police Academy is an excellent program designed to inform and educate citizens about the functions and activities of the Kerrville Police Department. Academy graduates are then eligible to join the Kerrville Citizen Police Academy Alumni Association, which is involved in a variety of activities in support of the KPD. 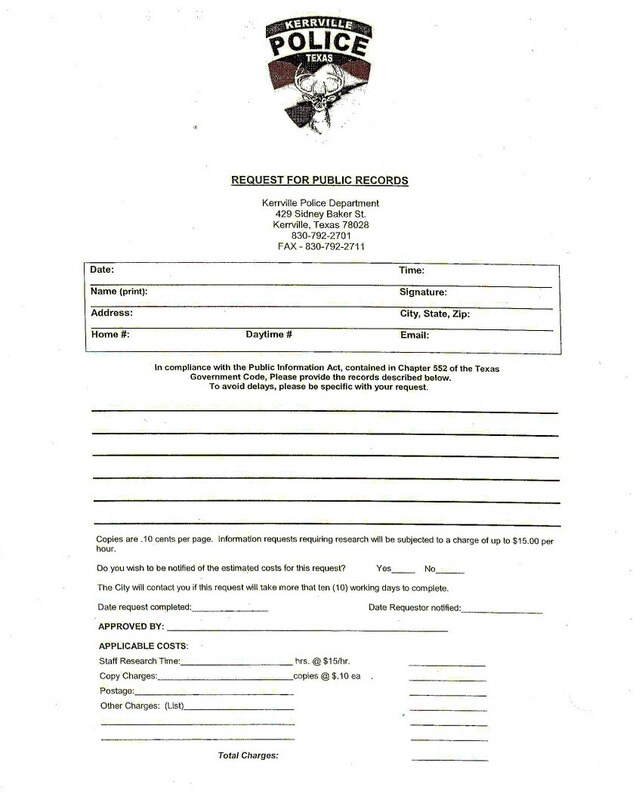 Request for Public Records (Print and complete form and drop by the KPD.) 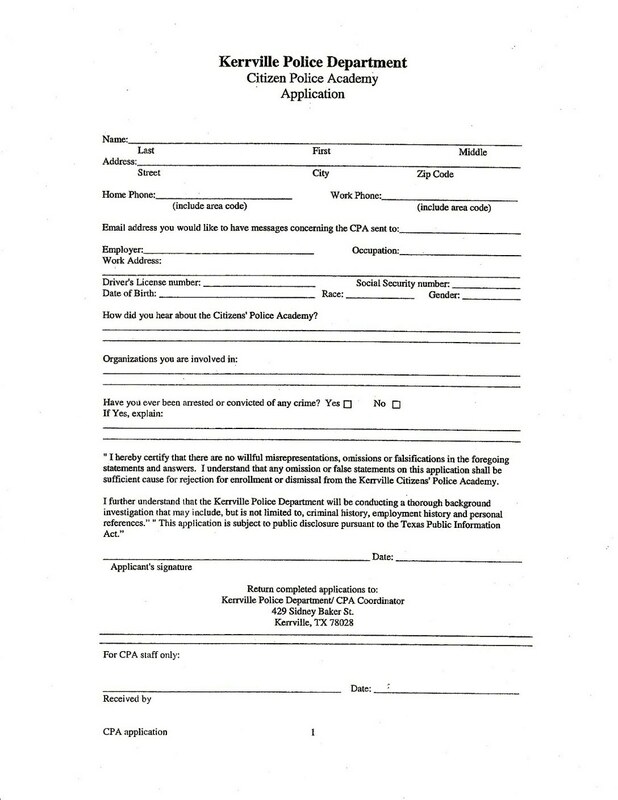 Use this form to request copies of public records held by the Kerrville Police Department. 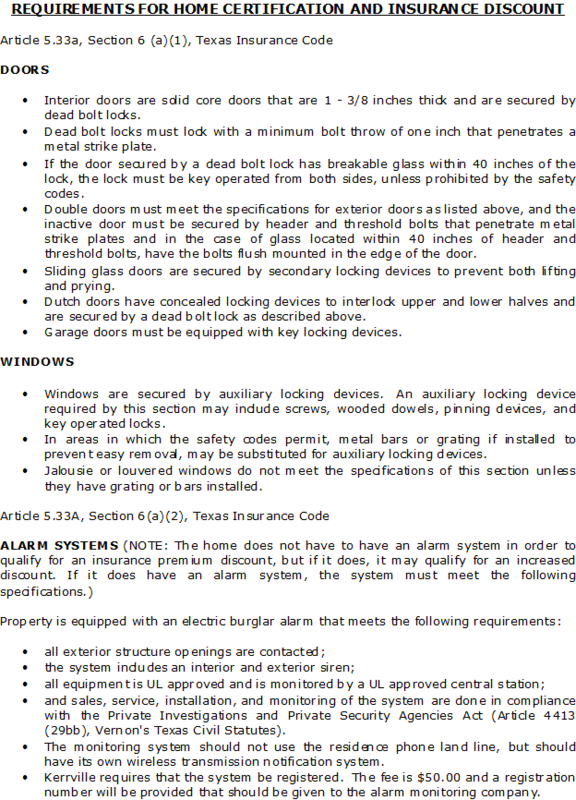 See Texas Public Information Act for guidelines related to the release of public records. 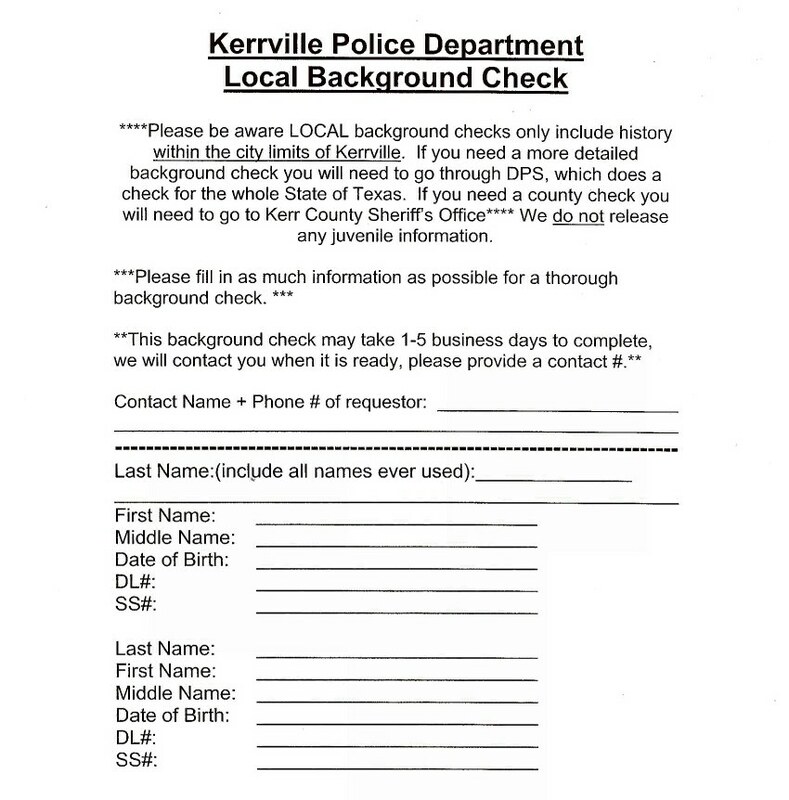 Kerrville Police Department Local Background Check (Print and complete form and drop by the KPD.) 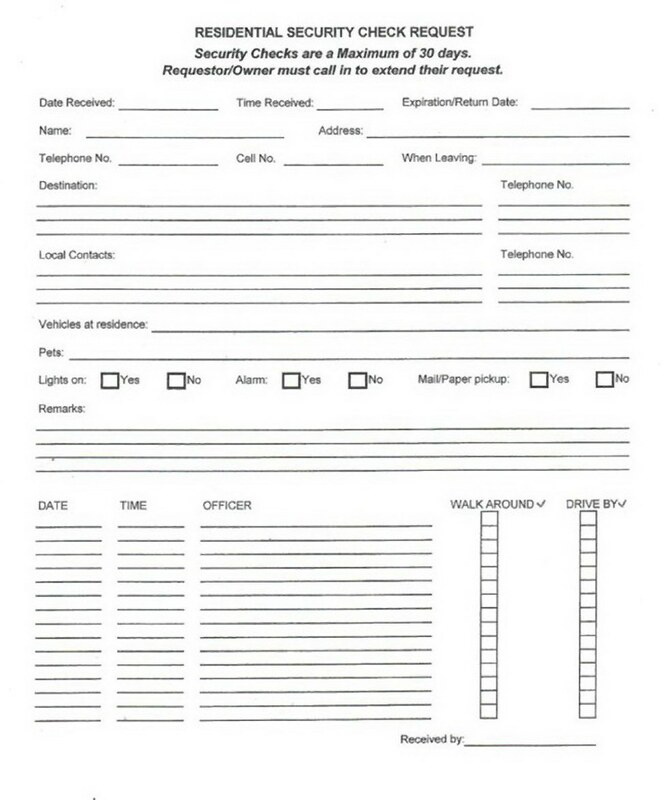 Use this form to request a background check. Be advised that these checks will include ONLY those records related to criminal history within the Kerrville city limits. If you need a county check, you will need to request that from the Kerr County Sheriff. 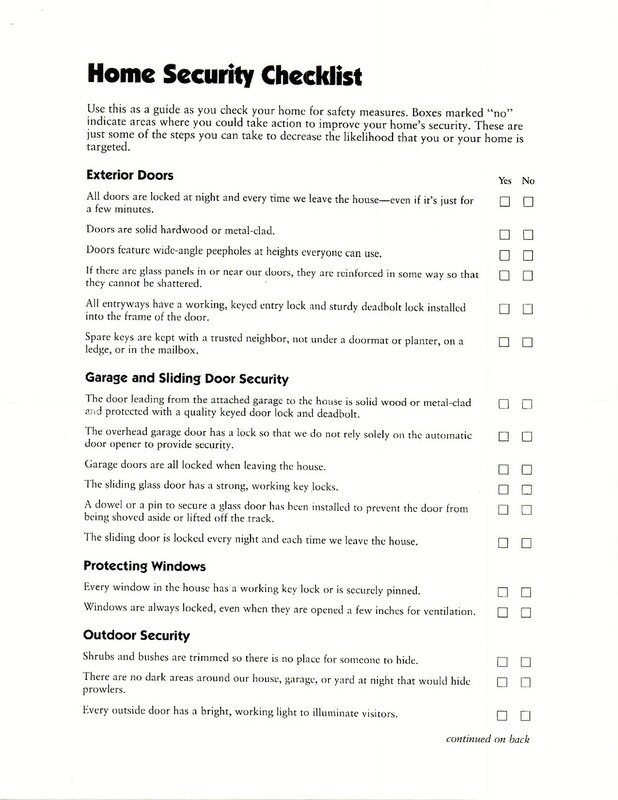 State-wide checks must be requested from the Texas Department of Public Safety.